Thanksgiving is a time to cherish traditions and family recipes! Don’t let the recent salmonella outbreak scare you from preparing your feast. You can keep salmonella away from your table by properly handling and cooking your turkey. 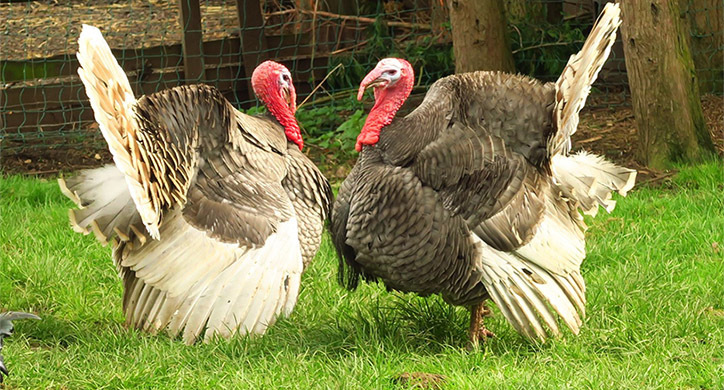 The Centers for Disease Control and Prevention is in the midst of investigating a multistate outbreak of multidrug-resistant Salmonella infections linked to raw turkey pet food, raw turkey products, and live turkeys. 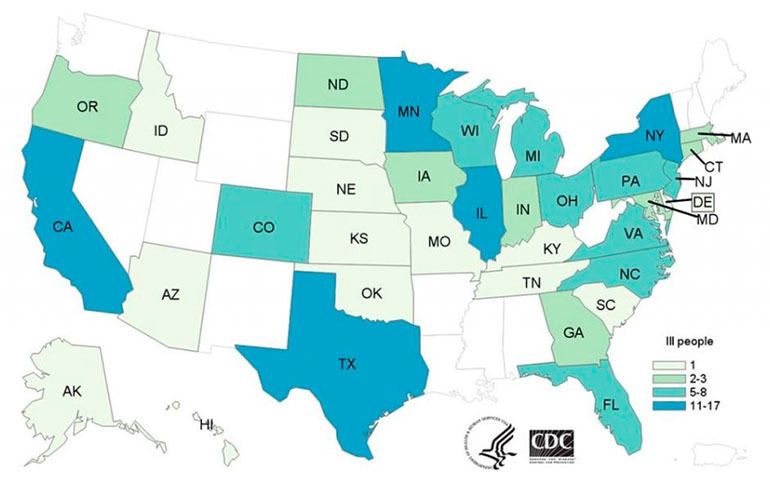 The outbreak strain has infected 164 people across 35 states. According to the CDC website, the outbreak is not attributable to one supplier or one location in the country. 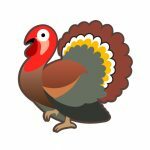 However, Jennie-O Turkey Store Sales in Wisconsin last week recalled 91,388 pounds of raw turkey products due to possible salmonella contamination. 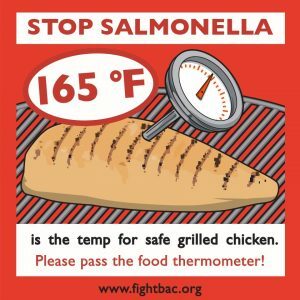 The most susceptible victims of salmonella poisoning are those with weak or compromised immune systems, the elderly and the very young. Salmonella is a bacteria that live in the intestines of animals and is excreted in their poop. It gets transmitted among animals if it gets in their food or water. Contamination to humans can occur where food is being made or processed if the facility lapses in washing the birds perfectly or lapses in employee, building or machinery sanitation. The most common symptoms of salmonella illness include diarrhea, abdominal cramps, and fever. Symptoms usually appear 6 to 72 hours after eating contaminated food and may last for 3 to 7 days without treatment. Are foodborne illness outbreaks increasing in frequency? No. We are more aware of food recalls because of improved reporting systems, testing programs, and genetic coding of pathogens. The food industry and government agencies apply the most current science and up-to-date technologies to keep you healthy and trust the food you buy. 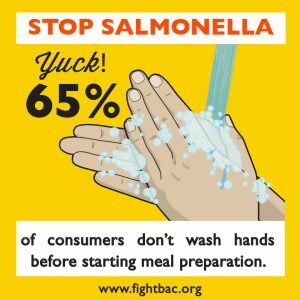 But here’s the thing: salmonella is preventable.It doesn’t have to interfere with your Thanksgiving meals with family and friends! This outbreak should serve as a reminder to our readers on how to safely prepare and cook a turkey— and for that matter, all meat! Wash your hands, not the bird! When preparing your bird, be sure to designate one non-porous cutting board or surface specifically for the raw meat- not allowing any other greens, or sides to come in contact with that prep space. Once the bird is prepped, thoroughly rewash hands, surfaces, counters, cutting boards- anything the meat has come into contact with- in hot soapy water! Cook your turkey until it reaches an internal temperature of 165 degrees as measured with a food thermometer. This will ensure that all harmful bacteria have been killed. Additionally, be sure to check the bird in at least three separate places to confirm internal temperature is accurate. Cook stuffing separately from the bird! While stuffing the turkey has been a tradition for many years, it is widely advised today to keep the stuffing separate. This is because bacteria can survive in the stuffing unless it is cooked to 165 degrees. Getting the stuffing to this temperature usually means overcooking the bird. When reheating leftovers, heat them to 165 degrees, as measured with a food thermometer. Thawing a frozen turkey? It takes approximately 24 hours to thaw 5 pounds. So, if you are cooking a 15-pound turkey, you should you should allow 3 days for your bird to completely thaw in the refrigerator. Once the turkey is thawed, it is recommended that you cook it within two days. Safety is the most important tradition! Now that we are all masters of safety in the kitchen and know the steps to safe cleaning and preparation, D2D would like to wish you and your family and guests a wonderful Thanksgiving. Whether you enjoy a deep-fried turkey tradition, hunting in the Pennsylvania mountains, cooking for thirty, or playing golf in the Florida sunshine, stay safe and have a HAPPY THANKSGIVING! No matter the methods you use to cook the perfect bird, the preparation should always be the same. Remember the six steps to handling your turkey, and we are sure it will be a holiday filled with delicious, safe turkey for the whole family to enjoy!